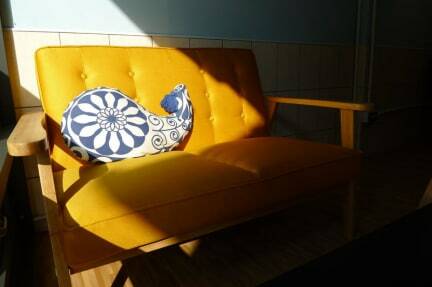 「Center · Center」 is a hostel delightfully decorated and refurnished from a traditional-style building. Our modern and welcoming interior is tailored made for travellers from around the world. Located in center Puli, Center Center Hostel is within close proximity of Nantou Bus Terminal. Puli Winery, a supermarket and Puli General Post Office are also nearby. 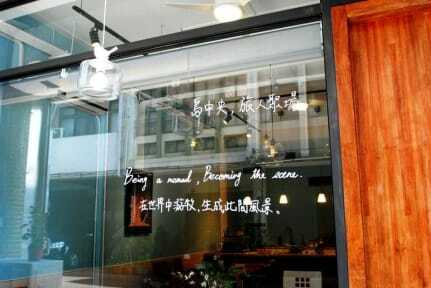 Thanks to its location, it provides easy access to a variety of Taiwanese cuisines and specialties. At Center Center Hostel, the service and amenities make for an unforgettable stay. After check in, guests can take advantage of on-site facilities such as full size single bed and lockers. Wi-Fi access is available to keep you connected. In addition, conveniences includes uiversal power socket, adjustable reading lamp and curtains. Whatever your reason for visiting Nantou, Center Center Hostel is the perfect venue to visit the renown attractions that are found here. 1. Check in 4pm-21:30pm and check out until 12am. 2. Cash (TWD) only upon arrival. 3. Cancellation policy: At least a 2-day advance notice prior to the arrival date is required. 4. Age restriction: Minimum age to stay is 10 years old. 5. Please keep quiet after 10pm. It’s a good location considering where it is in Taiwan and easy bus link to sun moon lake. Otherwise not much happening in this area. The gentleman who owns / works there is very nice and helpful. Bathrooms are clean as are the showers. Ample communal space and fast free WiFi too. Very nice hostel, the owner was really friendly and welcoming. Only stayed for one night so it is kind of hard for me to comment on the atmosphere, but it looks like there are good vibes in the kitchen. Breakfast is simple but can't complain：）located a short walking distance from the night market and several bus stops. Very convenient to everything, WiFi on every floor and room. Nice and clean common areas and very pretty. Friendly and helpful staff. I will go back again. A modern hostel, very clean and comfortable. Very relax and home like feeling. This is not a party hostel. The people were great. The blankets were super thick and comfortable. Great AC. Very quiet when I was there. Right next to the bus stops you need. The location is great. I confirm it is really easy to take the bus to Sun Moon Lake from here. But when I came to the place I came from Cingjing and my bus stopped at another bus stop not in the hotel map so I have to walk through the downtown around 15 mins. The owner is nice and really helpful. They also provide map of restaurants and cafes nearby. (I would recommend the Tangyuan.) The only thing to comment is that I hope they should also provide facial tissue papers in the bathroom. Overall amazing hostel! Close walking distance from the main bus station and easy to get to sun moon lake. Great beds and helpful staff! Good location ,just next to the bus terminal. Check in-time at 4pm is slightly late Overall it is ok.